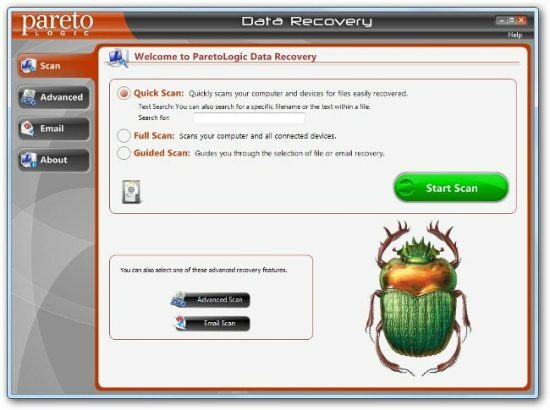 Data Recovery Pro is a data recovery tool that can recover information from different operating systems including Windows, Macintosh, Linux, Solaris, Novell. It is possible to restore information from damaged hard drives: clicking sound hard drives, fall off hard drives, burned hard drives, no spin hard drives, formatted, deleted, (external, USB, RAID) hard drive, Flash memory card, tape, CD/DVD. Data Recovery Pro is able also to recover deleted e-mails and lost files. If you think that your important e-mail or file was deleted accidentally, then you can restore it with the help of Data Recovery Pro. You can run a scan to find the deleted email messages and restore the needed together with the attachments. If you hard drive is corrupted and has bad sectors, then the program will help you to recover all the partial files. Data Recovery Pro is a special program that is able to recover files of different extensions. If you need to restore information from some storage devices, such as iPod Shuffle, iPod Nano, and iPod Classic. You are welcome to read data recovery pro review from this page. 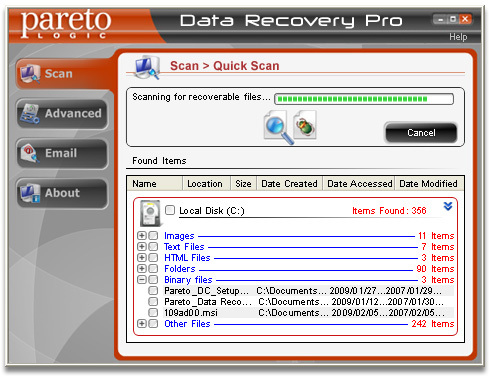 Data Recovery Pro is one of the most effective and easy-to-use hard drive data recovery program. The program scan your computer for deleted files and gives you the opportunity to select the needed to restore them in any place on your computer that you will choose. You can use this program in order to even recover files from freshly formatted or partitioned drives. It is possible to use the special key word or phrase filter to find the lost files. Data Recovery Pro can give you a chance to preview the file before recovering in order to select the needed file for restoration. The found files will be sorted by data, size and other characteristics in order to help you to find the file faster. The program is provided with customer care and support program, so you can use it in every difficult case. The program does not take much space, but it effective enough to scan your computer quickly and to recover the needed files of different file extensions. If you are interested in data recovery tool, then you are welcome to download Data Recovery Pro from this page. Quick, full, guided, advanced and email scans. Quick scan can be used in order to recover files that can be easily restored on your hard drive and on the removable devices. Full scan is used for the same drives, but it can recover any deleted or lost files. Guided scan lets you choose whether you want to recover emails or files from your hard drive or external devices. Advanced scan will let you to select the areas that you want to select. If you know the name of the needed file or any text in it, it will be easy to find the file, using this information in Search for keywords and phrases in deleted files. Email scan can restore the deleted files from your main email applications, email profiles and data files. It is possible to restore email attachments also. Data Recovery Pro can recover all types of files, even if they were encrypted or compressed. It lets to save the file in the directory that you need. The program is powerful enough to restore information from your iPod Shuffle, iPod Nano, and iPod Classic and from other devices (removable media). The found items will be structured by Name, Location, Size, Data Created, Date Accessed, Date Modified for you to find the needed removed or lost file easily. There some additional options that can be used by you: creation of system restore point or bootable discs.